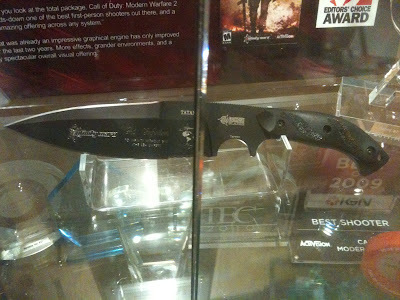 As you may or may not have known, I was invited down to LA, Encino to be exact, last week to check out the latest game that Infinity Ward has been working on, Call of Duty Modern Warfare 3. This being my first community event for any game, let alone the CoD franchise, the whole experience was very surreal. I was one of two PC players, out of about ten community members that were invited, Josh Peckler, Site Director of PlanetCoD, being the other one. As I considered Josh and I to be the "ambassadors of PC gaming" at the event, I wanted to let you guys know what I saw, how I felt about it, and what it means for our community. First let me start off by saying that this was a singleplayer event only, no multiplayer details were released. Yes, this means that we were given no information about how multiplayer will work on PC. Also, anything and everything I saw or heard is subject to change from now until release day. The team is still very hard at work on the game and, as one might expect, things are changing on a daily basis. 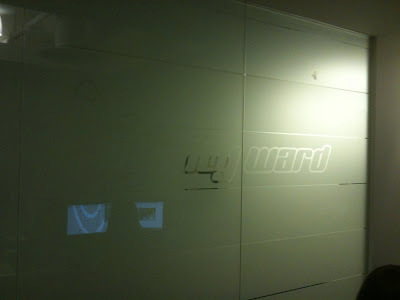 My time at Infinity Ward lasted about 3 hours and consisted of both a studio tour as well as a live demo of parts of two levels. The tour was lead by none other than Robert Bowling (@fourzerotwo) himself. 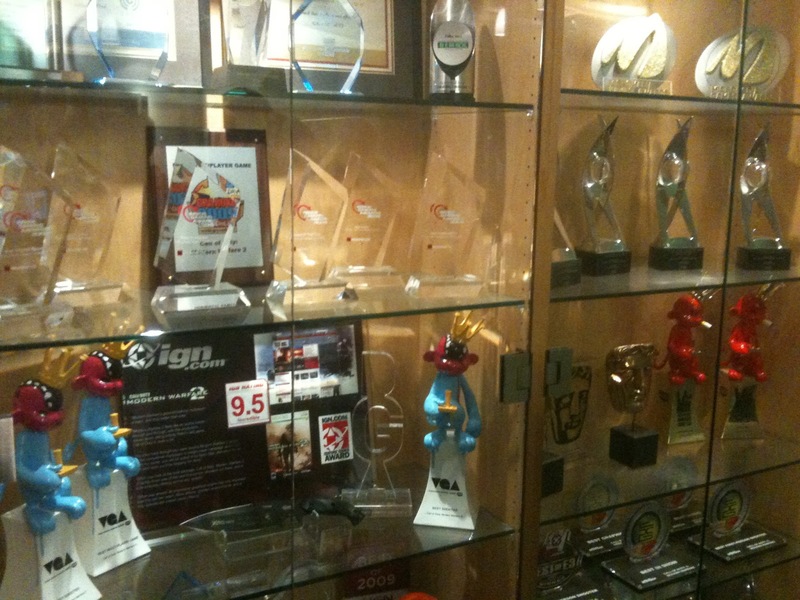 The studio itself was surprisingly small considering the large amount of work that goes into making these games. I'd say the entire studio was about 10,000 square feet and is housed entirely on part of one floor of a larger business building. The studio is broken up into several smaller areas called neighborhoods, which house individual design teams. For example, all the scripters would be in one neighborhood, while all of the animators would be in another, the sound designers in another, etc. There were parts of the studio which we were not allowed to see, notably the MP area and several bulletin boards which had been covered up. Interestingly for me, they had a full QA team on site working full time on hammering out game bugs in another area of the studio. Robert told us that one of the design philosophies of the studio is to "never leave anything broken for more than a day." He said that this ensures that the studio is constantly moving forward in the development of their games. As far as PC development goes, he insured Josh Peckler and I that the game is currently running on all three platforms, including PC, another design philosophy of the studio. He also noted that the lengthy certification process that both Microsoft and Sony require shortly before a game releases allows them to focus their team on extensively optimizing the PC version of the game for that length of time prior to release. At the end of the tour, we were lead into the small theater within the studio to see some Modern Warfare 3 gameplay. We were shown portions of two levels. Let me first get some things out of the way. This game is not running on a new engine. This means that it contains all the things you love about the CoD engine, including the smooth and frenetic gameplay as well as the things that make the engine show it's age such as arguably aging visuals and lack of non-scripted destructibility. Judging from what little gameplay I was able to see, I think that it'd be safe to say that Modern Warfare 3's singleplayer campaign will be an evolution of what was seen in previous titles that adds in some interesting new gameplay elements, while remaining true to what has made previous CoD singleplayer campaigns popular. This gameplay obviously contained spoilers about the singleplayer portion of the game. If you would like to read these spoilers, click the link below. The first level we were shown was titled 'Black Tuesday.' Modern Warfare 3's story picks up hours after the end of Modern Warfare 2's. The Russians, headed by Makarov, have invaded the United States and this level has the player in the boots of a Delta Force operative fighting for control of the financial district of Manhattan in New York City. The level begins with another operative, probably a main character, giving you a magazine for your M4 carbine assault rifle. This is the same sequence seen in the gameplay reveal trailer 0:10-0:12. One interesting new attachment that your rifle is equipped with in this mission is the so-called hybrid sight. This is a sight which sits behind your standard red-dot sight which can be toggled on and off on the fly giving you a bit more magnification longer range engagements while letting you slide it out of the way for short range encounters. Bowling stated that this idea was given to them through interviews with special forces operatives who sometimes modify their weapons with this type of optics set-up. The unit is tasked with taking down a communications jammer that the Russians have set up on the roof of the stock exchange. You fight street to street, alleyway to alleyway, and intersection to intersection until you reach the exchange. The city has been under heavy siege, the air is filled with dust and debris, cruise missiles hammer nearby buildings. The environment reminded me of images I have seen of the aftermath of 9/11. However, there isn't much time for emotion as you are being constantly being at shot from well armed and fortified Russian troops. To help even the odds, you are equipped with an XM25, and a new 9-Banger flash bang variant and 'even the odds' they do indeed! You fight through the exchange, through the trading floor and onto the roof where you disable the jammer with thermite, which comes crashing down. While your're waiting for exfiltration, you are attacked from several adjacent rooftops. You are provided with a controllable drone attack to help you defend your position until a blackhawk helicopter arrives, which you quickly board. You fly between buildings with several Russian hind helicopters in pursuit, which you frantically shoot with a door-mounted minigun. One of the choppers you destroy ends up crashing into the blackhawk and for a moment your chopper is crashing. However, somehow the pilot manages to regain control. What we saw of this level ended here. The second level we were shown was titled 'Mind the Gap." It takes place in the Canary Wharf District of London on a rainy night. Your British SAS unit has been tasked with obtaining some suspicious cargo that is being loaded into trucks from a dock. The level starts off with a bit of reconnaissance, presumably from a UAV. You commanding officer emphasizes that the operation must remain as covert as possible. Your view then zooms down to earth level and you embody one of the SAS operatives. You use a silenced MP5 as you go building to building, silently taking out tangos. When you reach the dock, you engage in a firefight with the Russians and take control of the truck only to discover that the cargo is nowhere to be seen. Another section of the level has you chasing Russian soldiers down into the London Tube. They take control of a train and speed off. You peruse them from the back of a pickup truck. This is the same set of sequences shown in the gameplay reveal trailer. After several near misses with oncoming trains, the lead pickup truck in front of you crashes into the train and derails it. This sends train cars tumbling lengthwise down the tunnel, crashing through support beams. Your truck crashes and you are thrown to the ground. The level fades to black. Bowling told us that this was not the end of the level. After the gameplay was shown, we had an lengthy question, answer, and feedback session where we gave our initial impressions as well as what we would like to see in the final product. Josh Peckler and I made sure that Robert Bowling knew what we need to see in MW3 for it to be a successful PC title: a consistent online experience (dedicated servers), smooth gameplay, tweakability. We noted that most in the PC community would love to get behind another great CoD title and play the heck out of it and that such a title would be good for our community, we just need those things that ultimately make games playable and enjoyable on PC. Rob seemed to genuinely understand our problems with MW2 on PC and admitted that IWnet ultimately did not offer an ideal solution. I noted Rob's recent community involvement and asked that it continue leading up to and through the release cycle of MW3. He insured us that transparency is going to be key leading up to this release and that we will get the information we need to make informed purchasing decisions well prior to release. I have no reason to doubt that. I honestly can't wait until more information is released for MW3 and am looking forward to some solid PC multiplayer information. After going to this event, I firmly believe that Infinity Ward knows what went wrong with MW2 on PC and I hope that they do their best to make sure that none of those mistakes make their way into the PC version of MW3. I truly hope that Infinity Ward has not only listened to our feedback from MW2 but has used it to make MW3 a much better game. P.S. : I will be able to talk about what I saw at Treyarch on the 31st. I look forward to sharing that with you all. I am a PC Gamer, Call of Duty Community VIP, Tech Enthusiast, and Biochem Major @UCDavis, 2012. © 2012 Philip Thatcher All Rights Reserved. Powered by Blogger.